The Law Offices of W. Matthew Kowtko, P.A. offer personable, straightforward and affordable legal representation to clients in all areas of Florida family law and civil litigation. A family law attorney should be knowledgeable, passionate, creative, responsive, dependable and be able to work tenaciously at obtaining the best possible result for his/her clients, and this is precisely the quality of work and representation you will get when you hire our offices. Additionally we put our professional and friendly staff at your service giving you the prompt and personalized service you deserve. About our practice areas and philosophy: Divorce: We aggressively advocate for our clients who are going through a divorce. Divorce cases often become highly complex, legally and emotionally which can often lead to a less favorable outcome; therefore, proper representation may lead to a more advantageous result in your dissolution case. Our office understands this is a highly emotional time in our client's life, and our divorce lawyer will customize our representation and develop a case strategy principled on your and your family's needs and expectations. At The Law Offices of W. Matthew Kowtko, P.A. we place a strong focus on each client's individual experience in family law matters. We recognize that each divorce situation is different, requiring a dynamic, ever changing approach to continually meet each client's needs. Paternity: Our firm is prepared to defend your paternity and parental rights. When an unwed couple have a child together legal paternity, visitation/timesharing and child support need to be established through the Courts in order to solidify and protect each parent's rights as well as to protect the child's rights and interests. Our firm is ready to help you safeguard your rights as a mother or a father, as well as helping you compel a non-cooperative parent to abide by an already established law order or parenting plan. Domestic Violence: Our firm is prepared to help you whether you are in need to get protection from domestic abuse or defending your rights if you are being wrongfully accuse of violence. Regrettably some marital and non-marital relationships deteriorate to a point where domestic violence occurs. If you are being a victim of domestic abuse our offices is ready to effectively help your get protection by establishing an injunction or restraining order, which is an order from a judge ordering the offender not to have contact of any kind with the victim, precludes him or her from going to specific locations, and it can sometimes order basic time-sharing schedules when children are involved in the case. Although domestic violence is a serious societal issue today, individuals are often falsely accused of committing domestic violence. In such cases it is imperative that the person being accused get proper legal representation as accusations or judgments can have a significant impact on their divorce, child custody or paternity case. Whether the threats be verbal or emotional, family law judges take these actions very seriously. Whether you are a victim of domestic abuse or are being falsely accused our office will act immediately to ensure your rights are being protected during this stressful period of your life. Relocation: Our firm can assist you in being able to relocate with your minor child while staying in compliance with Florida laws that can potentially affect your parental rights. If a parent wishes to move more than 50 miles with their minor child the Florida Relocation Statute will apply to them whether the child has been born inside a marriage or if the child is or has been involved in a paternity case. If the parents cannot agree on the move, then the parent wishing to relocate must present his/her case in front of the Court and petition a family judge to grant permission to relocate with the minor child and establish a new long distance parenting plan. Child Support: We are ready to protect your child or children's rights to be provided with certain basic needs such as housing, clothing, education, medical and overall care. The burden of providing with such needs should be shared by both parents and a child support case can start through the Florida Department of Revenue or become a part of a paternity or divorce litigation. In a paternity or divorce case, child support litigation often will include establishing time-sharing/visitation, since overnight parenting time has the biggest impact on each parent's child support obligations. While it is rare, an opposing party may not be honest or forthcoming about their income, which can drastically increase or reduce the child support amount to be paid. In that case, our office has discovery methods, motions, and hearings to determine accurate numbers to obtain the appropriate support obligation. The Law Offices of W. Matthew Kowtko, P.A. We recognize the financial burden that can come with obtaining high quality legal representation. It is for this reason that our office may be able to offer you a customized payment plan after a thorough case review and depending on your individual needs. Call our offices today at (941) 227-4945 or request a call to schedule a free 30 minute consultation with our attorney to discuss your case and potential payment options. I practice family law by helping families with their dissolution of marriage, timesharing/custody, child support and domestic violence issues. I further represent civil litigation clients in a variety of areas, including defamation/libel, breach of contract and personal injury. Being married and having a family helps me empathize with the stress and the emotional toll that come with dealing with the important and sensitive matters involved in family law. As a professional and a business person I am able to understand the challenges and frustration involved with civil litigation cases. I have wanted to practice law since high school, which was reinforced when I worked for a local law firm in north Atlanta when I was an Aerospace Engineering student at Georgia Institute of Technology. As an attorney, I have helped many families with a wide variety of legal issues, ranging from family law or criminal defense, but I have chosen to help families with family law related issues. Service to the community is another area I have dedicated my practice by donating time and efforts to facilities servicing low-income individuals with family issues and I gave regular assistance with low-income tax preparation during law school. I continue to strive to provide the utmost quality in legal services to every one of my family law clients. HOW WE WORK AT OBTAINING THE BEST RESOLUTION FOR YOUR FAMILY: From the moment an attorney-client relationship is formed between you and our firm, we begin formulating a case strategy based upon your needs and goals followed by immediately drafting your case documents to be filed with the Court or sent to an opposing side. Our offices will keep you well informed of all the deadlines, court hearings, any changes and or progress throughout the entire process of your case. It is always preferable for the parties in a family law case to settle their issues out of court. In a mediation situation, one side does not necessarily win over the other; if each party is willing and able to negotiate and both parties have reasonable expectations, the parties will have an input in the ultimate outcome of their case. In the event that you and the opposing party do not come to an amicable resolution at or before meditation, our firm stands prepared to litigate your case in your best interest at trial before a judge. LITIGATING YOUR CASE: Most cases settle before or at mediation but there are some cases where the parties cannot reach an amicable resolution and some or all of the issues must be resolved by a judge. In the event pre-mediation and mediation negotiations fail, our firm will prepare and file relevant pre-trial requests to the Court (motions) to protect your and your family's interests. In the event that your case must be litigated before a family judge, our firm will gather and prepare all the relevant facts and evidence needed to present to the Court to achieve the best possible outcome. Our office stands ready and prepared to aggressively litigate your case to the best of your and your family's interests. SETTLING YOUR CASE: Many times reaching a settlement to complex family cases may require for both parties to receive thorough legal advice. Many of the terrible stories people have heard about divorces, child support, mother's rights and father's rights stemmed from one or both parties simply having unreasonable expectations. In Florida, most family law cases will be ordered to attend mediation. This is the process where the parties will attempt to come together to work out their differences without going to court. Leading up to the family mediation, our office remains in constant contact with our clients, specifically related to any new information that may affect the outcome of their case. Before mediation, we find that a diplomatic approach often gets our clients a much better result. 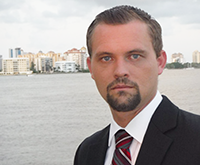 WE ARE A SARASOTA FAMILY LAW FIRM AGGRESSIVELY REPRESENTING CLIENTS IN ALL AREAS OF FAMILY LAW: When family law issues arise, they are often one of the most difficult and emotionally draining times in a person's life. Often these matters devolve into legal disputes and can quickly consume much of a person's time, energy, financial resources, and become emotionally draining. At The Law Offices of W. Matthew Kowtko, P.A., we understand your troubles and will formulate a unique case strategy that best fits your personal, financial and emotional needs. A family law attorney should be knowledgeable, passionate, creative, responsive, dependable and be able to work tenaciously at obtaining the best possible result for his/her clients, and this is precisely the quality of work and representation you will get when you hire our offices. Additionally we put our professional and friendly staff at your service giving you the prompt and personalized service you deserve. The Law Offices of W. Matthew Kowtko, P.A. combines modern innovation and thinking with classical law in our family practice areas of divorce, domestic violence, paternity/parental rights, time-sharing/custody to child support to bring our clients powerful, efficient, and cost-effective legal representation in our practice of within the state of Florida. Oftentimes these issues can overlap and having the right attorney who understands all of the potential issues can be critical to achieving the best result in your case. When making the decision whether or not to hire an attorney to take on your family law case, it is important that you take into consideration the following qualities: - A strong focus on preparation for all hearings and trials. - Open lines of communication between lawyer and client. - Close attention paid to all deadlines for discovery and responsive pleadings. - Proactively takes steps to hold opposing parties to deadlines. I practice family law by helping families with their dissolution of marriage, timesharing/custody, child support and domestic violence issues. I further represent civil litigation clients in a variety of areas, including defamation/libel, breach of contract and personal injury. Being married and having a family helps me empathize with the stress and the emotional toll that come with dealing with the important and sensitive matters involved in family law. As a professional and a business person I am able to understand the challenges and frustration involved with civil litigation cases. I have wanted to practice law since high school, which was reinforced when I worked for a local law firm in north Atlanta when I was an Aerospace Engineering student at Georgia Institute of Technology. As an attorney, I have helped many families with a wide variety of legal issues, ranging from family law to criminal defense, but I have chosen to help families with family law related issues. Service to the community is another area I have dedicated my practice by donating time and efforts to local facilities servicing low-income individuals with family law issues and I gave regular assistance with low-income tax preparation during law school. I continue to strive to provide the utmost quality in legal services to every one of my family law clients. How Long Will My Divorce Take And What Can I Do To Speed Up The Process?